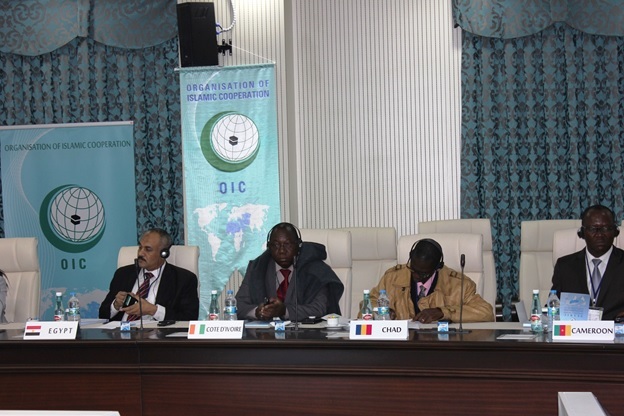 38 participants from National Statistical Offices (NSOs) of 25 OIC countries including Afghanistan, Albania, Bangladesh, Cameroon, Chad, Cote d’Ivoire, Egypt, Gabon, Gambia, Iran, Jordan, Kazakhstan, Kuwait, Kyrgyzstan, Malaysia, Morocco, Mozambique, Niger, Palestine, Saudi Arabia, Senegal, Tunisia, Turkey, Uganda and Uzbekistan and 4 international organisations, namely Eurostat, PARIS21, African Union Commission (AUC) and SESRIC, attended the workshop. 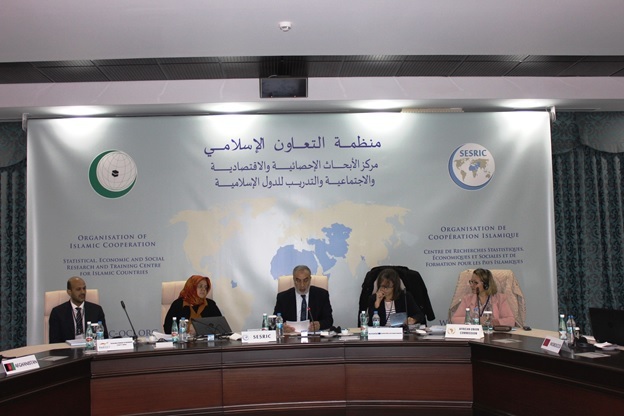 The Workshop was inaugurated with the Opening Remarks of SESRIC, Eurostat and PARIS21. In his welcoming speech, H.E. Amb. 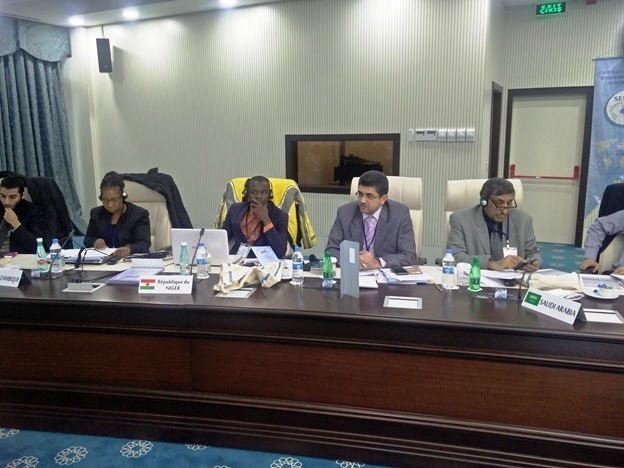 Musa KULAKLIKAYA, Director General of SESRIC, stated that Monitoring and Evaluation (M&E) is a fundamental need to enhance the integrity and accountability of any institution and/or framework. 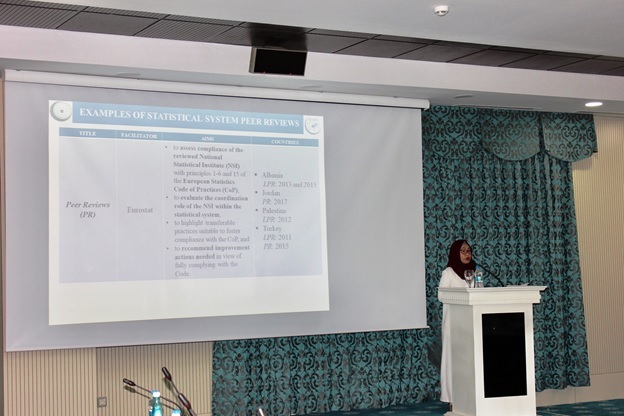 He also underlined that by being the primary producers of data based on which the decision makers design and implement their policies, the NSOs should indicate their willingness to implement the M&E to enhance the credibility of the National Statistical Systems (NSSs) and to strengthen the system’s capacity to produce high-quality data. 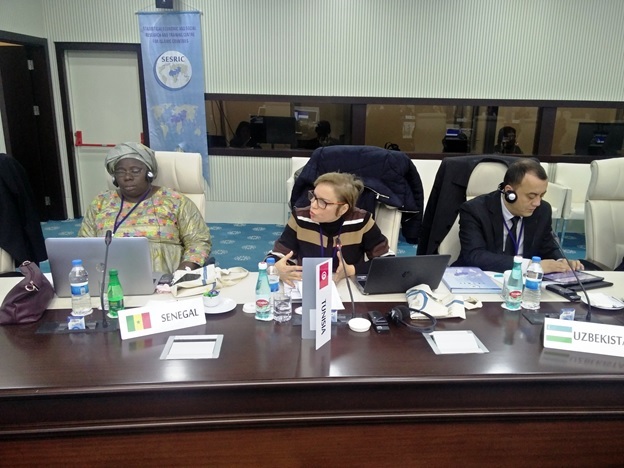 In this regard, it was expected that the Workshop would foster exchanges of knowledge, and help to create an environment for collaboration and innovation concerning the methodology and assessment environment of the M&E mechanisms. 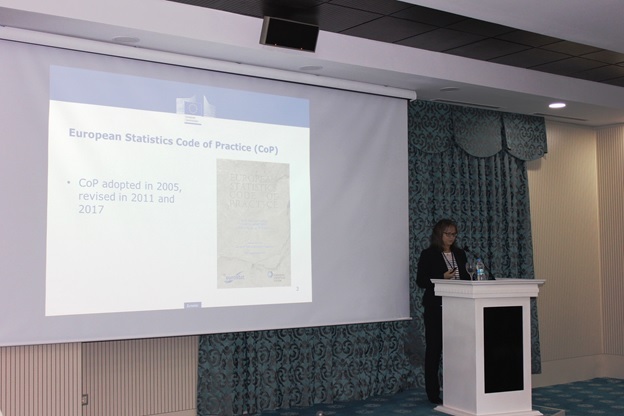 In her opening remarks, Ms. Claudia JUNKER, Head of Unit “Quality Management; Government Finance Statistics” of Eurostat, focused on the chance for enlarging the outreach of the peer review mechanisms among many member countries. 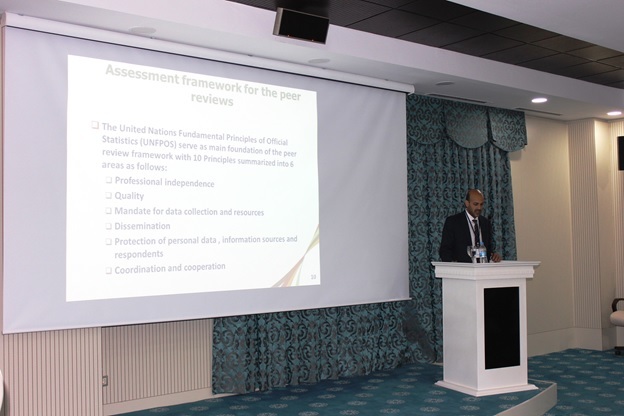 Mr. Rafik MAHJOUBI, Regional Programme Co-ordinator of PARIS21, began his speech by giving a brief introduction on PARIS21 and continued by the issue pertaining to the importance of peer review that could help strengthen the statistical systems and make them more effective. 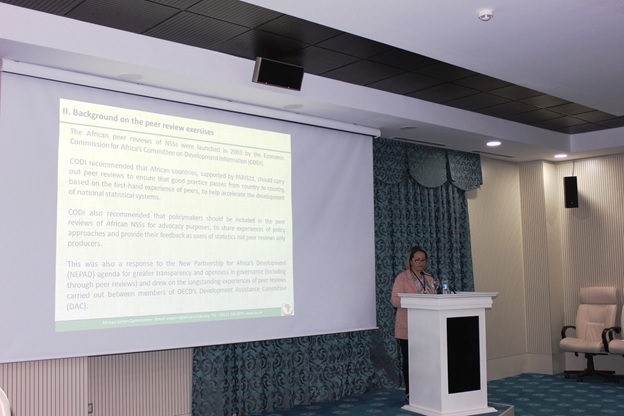 In the first session of the Workshop, Mrs. Nenden Octavarulia SHANTY, Researcher at SESRIC, briefed the participants on “Peer Review Project for NSOs of OIC Member Countries (OIC-Peer)” including survey results and methodology document proposed by SESRIC”. 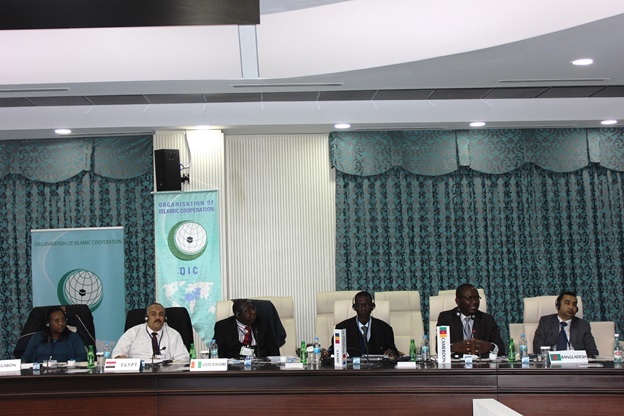 The second session titled “Peer Review Mechanisms Conducted by International Organisations” started with the presentations of Eurostat, PARIS21 and AUC in which they informed the audience about the peer review mechanisms conducted by their institutions including topics covered by peer reviews, its methodology, costs, assessment criteria, reporting and dissemination. 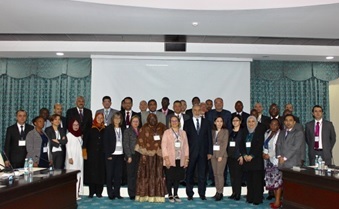 Additionally, Albania, Cameroon, Egypt, Iran, Jordan, Kazakhstan, Kyrgyzstan, Malaysia, Mozambique, Niger, Palestine, Senegal, Tunisia, Turkey, Uganda and Uzbekistan shared their country experiences regarding the M&E mechanisms. 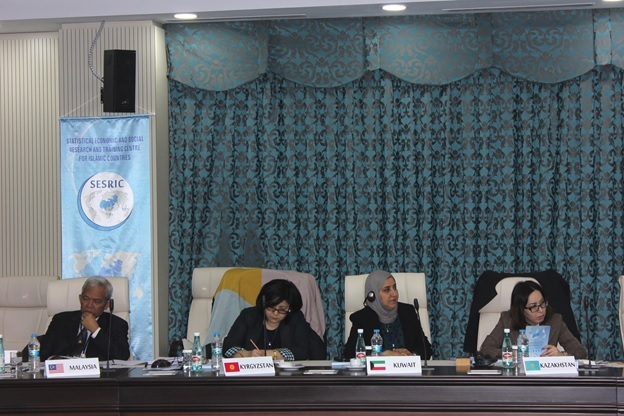 During the brainstorming session on “OIC-Peer: Conduct and the Way Forward”, the participants actively discussed the mechanisms of peer reviews including preparatory phases, selection of expert team, country visits, validation of results/reports and follow-up. 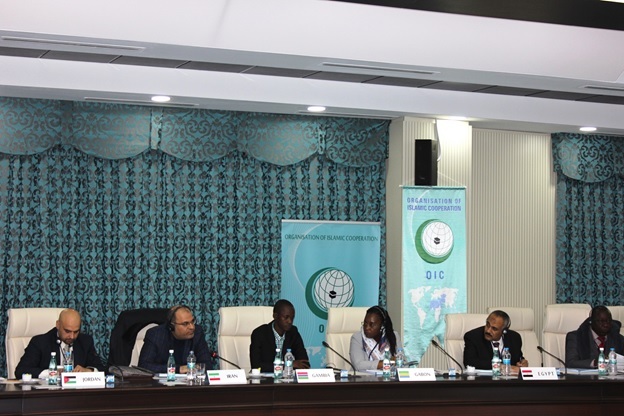 In the last session of the Workshop, participants exchanged views on the draft recommendations of the Workshop for the consideration of relevant stakeholders and OIC countries.